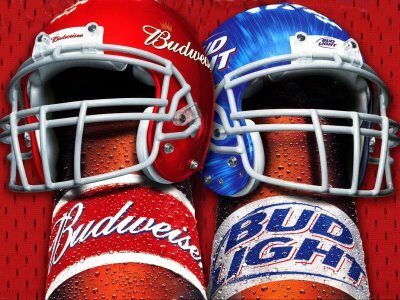 ST. LOUIS, MO – In order to generate more hype around the brand and create a more engaged online audience, Budweiser officials have elected to use social media sites to release advertisements slated to air during the next 10 Super Bowls. “Research has shown that viewers appreciate getting to see commercials ahead of time so they can discuss and share with their friends,” said Anheuser-Busch President Luiz Fernando Edmond in a Facebook statement. “As such, we have posted online the ads that will air for Super Bowl XLVIII through Super Bowl LVII.” Sources confirmed that the commercials have been very well received, especially the 2017 spot showing a comedic love story between a Clydesdale and a tortoise and the 2019 commercial starring a dancing President Hillary Clinton. “OMG Andrew Luck is so hot!” commented one viewer on the advertisement featuring the MVP quarterback of Super Bowl LIV. Final reports showed that Mr. Edmond and his team are already hard at work on Super Bowl LX, lampooning the testy matchup between the Atlanta Falcons and the Houston Texans. Yahoo could only guarantee commercials through 2015.